Thanks for this comparison!!! 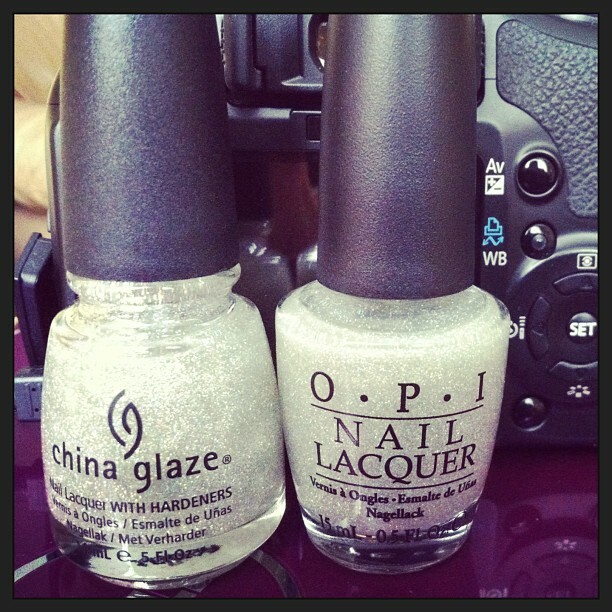 I was trying to convince myself I didn't need the OPI since I have Fairy Dust, but after this post...I must get the OPI! So excited (yet bashful) that you mentioned me at the beginning of your post; it made my day! awesome! and you could just use another coat or more of Fairy Dust to get that much glitter. I need to find a topcoat that plays nicer with the China Glaze polishes, the one I have causes so much shrinkage and cracks in my polish.